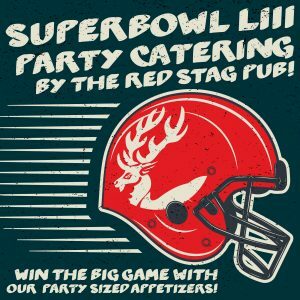 Make this year's super bowl party the best one yet! Want to make your super bowl a snap? Order your appetizers and trays now to be sure that you have the best Boneless Wings, Wings, Dubliners Fondue, Vegetable and Cheese Tray, Bavarian Pretzels, and Fruit Tray in the Valley at your party. All orders must be placed 24 hours before pick-up. Pick-ups can be made on Sundays only.